Imagine you’re driving home one day and you see flashing blue lights behind you. Maybe you’ve got a busted taillight. Or perhaps you’re a few miles-per-hour over the speed limit. So you calmly pull over. The policeman steps up to your window. You reply, “Yes, actually.” You’re carrying $10,000 – a little something to help your daughter put a deposit on a small apartment. She’s visiting tonight and you were going to surprise her. “We’ll need to take that,” the officer says calmly. “To investigate any connection to drugs or terrorism,” he says. You laugh. You’re a family man. A hardworking guy looking forward to retirement. Not a drug smuggler or terrorist. But none of that matters to the feds. If you’re carrying cash, it’s suspicious. That’s because US courts repeatedly rule that carrying large amounts of cash is “strong evidence” of a connection to drugs. Before you know it, he’s driven off with your daughter’s apartment money. Or to put it simply, it’s daylight robbery. It’s a clear violation of the Fifth Amendment – your right to property. Worse, it’s perpetrated by the police officers sworn to protect us. The feds took over $5 billion in civil forfeiture in 2014. More than the amount stolen by burglars in the same year. The sheriff used the proceeds to enrich himself and his team. He bought a Dodge Viper patrol car and even used the confiscated money to send his employees’ kids to college. Others across the country have used the money to buy NBA tickets. You see, only about 15% of civil forfeiture cases ever result in criminal prosecution of the owner. So the vast majority of victims are completely innocent. Heck, it happened to me. You can read in the report the story of how the feds showed up to seize my rental condo. As you’ll discover, I got lucky. But I’m the exception, not the rule. Take Andrew Clyde, an Iraq War veteran and salt-of-the-earth guy. He owned a gun store in Athens, Georgia, and lived a quiet life. That is until the IRS confiscated $1 million from his business bank account. Why? The IRS accused him of “structuring” his deposits in a similar way to money-launderers, drug dealers, and terrorists. Of course there was nothing dodgy about Andrew’s deposits. He just put the cash proceeds from his store into the bank at irregular intervals. But even though Andrew proved the legitimacy of his funds, the IRS didn’t give up. They gave Andrew this proposal: Give up two-thirds of the money and they’ll drop the case. Yes, this is extortion. At the highest level: by a federal agency. Andrew eventually got his $1 million back but not before he paid $150,000 in legal fees and a $50,000 settlement to the IRS. The so-called “War on Drugs” and the “War on Terror” have given the feds carte blanche to crack down on any suspicious activity. You don’t need to have committed a crime. You see, it’s not you on trial. It’s your cash. Or your property. If your property is suspected of being involved in criminal activity, it’s taken. And how do you prove your stuff is innocent? … is that you won’t see it coming. One day, a cop will pull you over for failing to signal. Or the IRS will drop a letter through your door. Or worse, you’ll get a bank statement and it’s missing a million dollars. When it happened to me, it came out of the blue. The more I learned, the more disgusted I became. I decided to make defense against civil forfeiture a bigger part of what we do here at The Nestmann Group. I’ve been helping hardworking Americans protect their wealth for decades. Never did I think I’d have to help protect Americans against the police acting on behalf of the law. 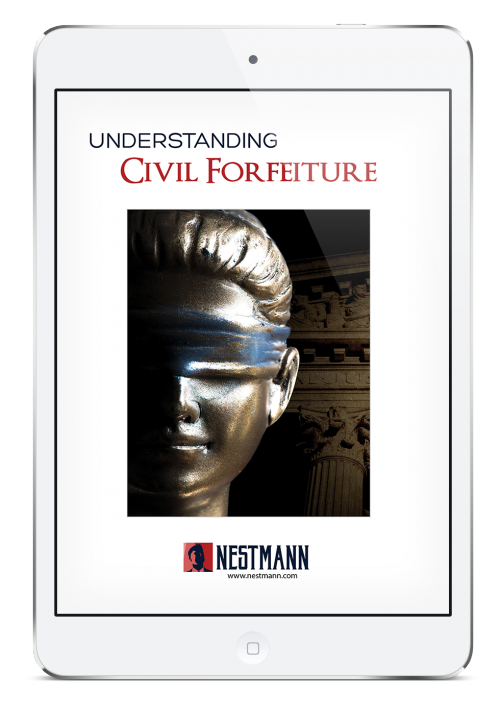 This comprehensive digital report contains everything you need to know about civil forfeiture and how to protect yourself from it. Heard enough? Click here to get your hands on the report now. In the report, you’ll learn how this crazy process went from a rarely used 18th century law to the brutal confiscation practice it is now. Understanding exactly how this law developed (and just how far it reaches) is your first step to protecting yourself. I’ll show you 61 trigger factors that increase your chances of being victimized. Do you fit the profile? Did you unknowingly sell merchandise to a criminal? Are you carrying cash? Did you glance at your watch in the presence of a police officer? All these triggers (and more) are court-approved reasons to search you and seize your property. Find out what else could land you in trouble. Keeping a low profile has long been a key part of my advice to clients. But this report contains my most detailed instructions on how to avoid searches and seizures. In particular, I’ll explain the legal and polite way to refuse a police search, whether it’s on the street, in your car or in your own home. You can stop civil forfeiture dead. Before your property or cash is taken. All it takes is a few commonsense checks and due diligence. This report will introduce you to simple techniques that will help you avoid suspicion. If you do find yourself on the wrong side of civil forfeiture, this report will show you how to fight back. What hoops you need to jump through and how to prove your property or cash is innocent. The simple rule of asset protection is this: If they can’t find it, they can’t take it. I’ll introduce you to clever ways to shroud your assets and wealth (and why you should remove the equity from your home). That way, if the IRS or the police try to seize your property, they’ll quickly realize there’s nothing to seize. For a short period, I’m making the digital civil forfeiture defense guide available for just $49. Why? Because I feel tensions rising across the US, and I fear that civil forfeiture is about to get worse. There’s never been a better time to learn more about this brutal process and how to protect your wealth. 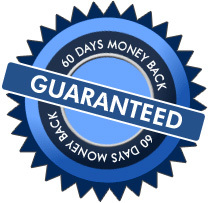 As always, you’ll get my 60-day guarantee. You can access the whole thing, read it, and if you don’t find something useful inside, just let us know and I’ll return your money. That’s how much I trust this report. Civil forfeiture isn’t about criminal activity. It’s about suspicion. And right now, the US is more suspicious than ever. Tensions between the police and public are at record highs. The grounds for searches and seizures are getting wider. The profile of those considered “suspicious” is getting broader. To the point where everyone is a target. Civil forfeiture increased 1,000% from 2001 to 2014. And the courts are doing nothing to stop it or even slow it down. The power lies with you. You can protect yourself. You can take action.